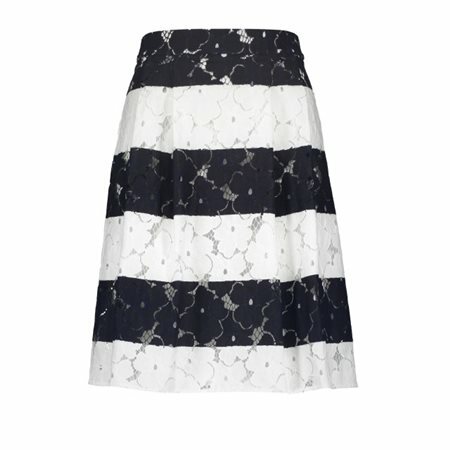 Step out in elegance in this pretty pleated skirt by Taifun. The bold blocks of navy and white strips and the pretty gathered detailing at the waist makes this skirt a natural choice for a party or special occasion this season. The skirt falls to the knee and closes with a concealed zip at the back, it is fully lined with a pure cotton lining and is simply beautiful.